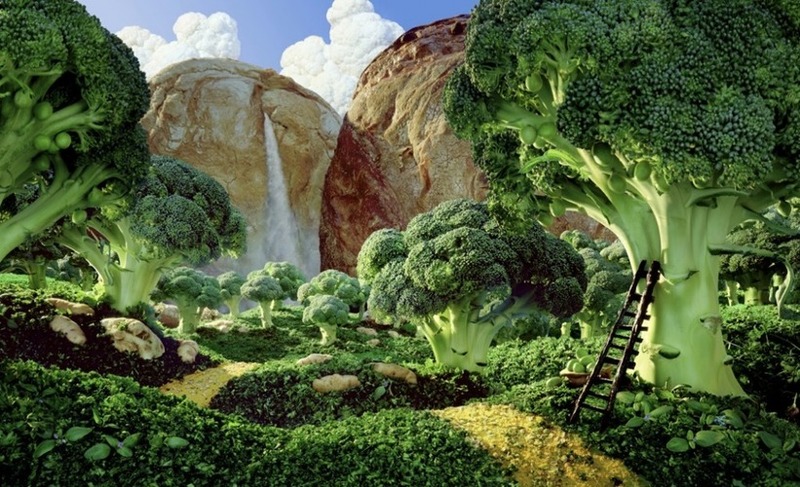 British photographic artist Carl Warner, whom you might recall as one of our favorite architects of edible landscapes, is a master of food and form, crafting astounding fantasy food landscapes that are part Ansel Adams, part Anthony Bourdain, part your childhood daydreams from the counter of your grandmother's kitchen. 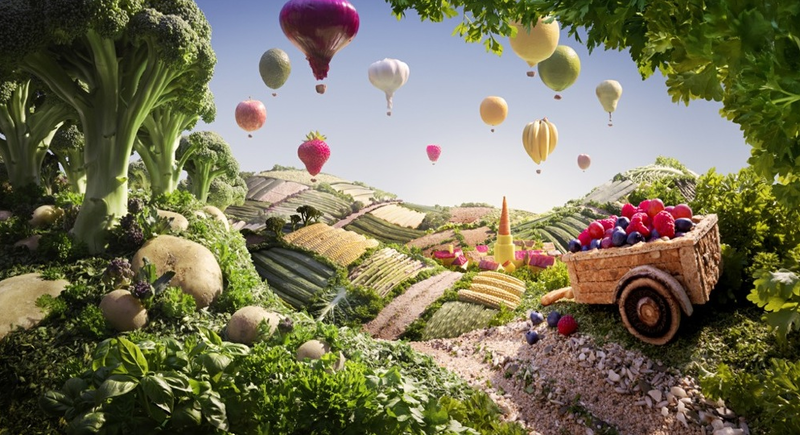 These miniature vignettes are painstakingly hand-crafted with only minimal Photoshop involvement and exude a kind of vibrant whimsy that stands in stark contrast with the mundane, ordinary ingredients Warner uses. 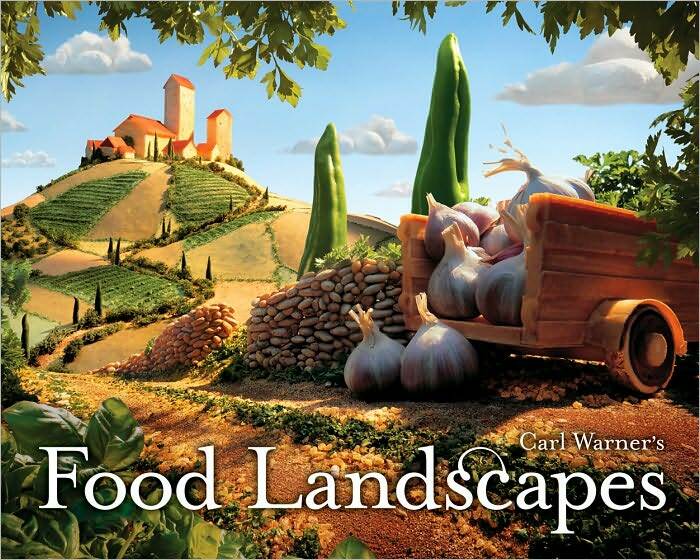 Food Landscapes collects Warner's most magnificent work alongside detailed production notes and ingredient lists for each scene. 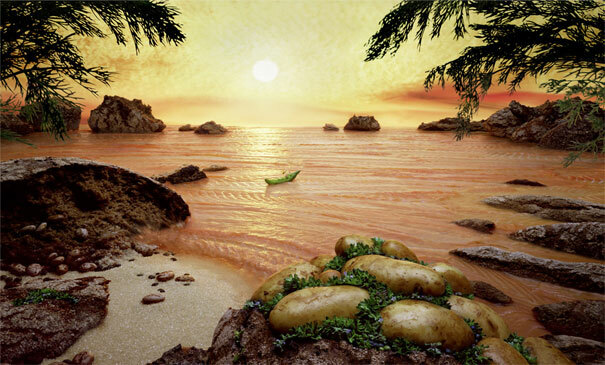 Warner traces the kernel of his inspiration to the work of Tessa Traeger, a food photographer who in the early 1990s published A Visual Feast, a collection of painterly, two-dimensional pictures composed using food. 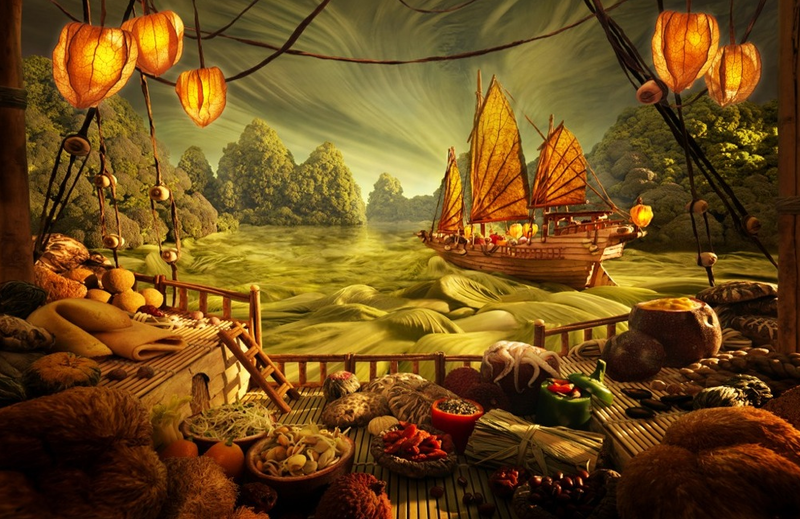 Warner wondered whether he could take this a step further and create three-dimensional vignettes with food. Then, one day, as he was strolling through the fruit and vegetable market, he noticed the curving trunks and parasol canopies of portobello mushrooms were reminiscent of trees in the African savannah. 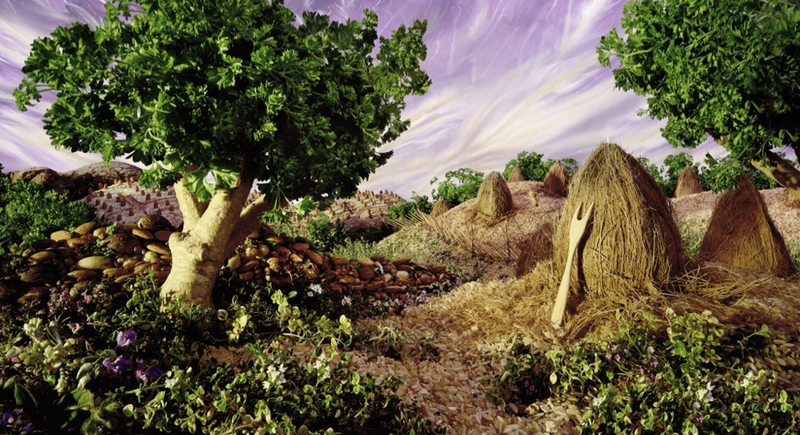 He quickly grabbed the mushrooms and some grains, and headed back to his studio to create a tabletop scene that would photograph like a larger landscape. The rest was creative history. For me, drawing and music were a means of escape into other worlds and alternate realities, and this provided the means to stimulate and exercise the muscles of my imagination. This went on for years, until I discovered photography. I found that I could photograph the real world but make it surreal by the techniques and the processes I was able to use in the camera and in the darkroom. I soon realized that this was a lot quicker than drawing, and I was able to develop ideas and concepts with more ease.... At the same time, album cover art was in its heyday, and graphic designers such as Storm Thorgerson of Hipgnosis were creating amazing surreal images for bands like Pink Floyd. I knew that this was what I wanted to do with my life.